December is just downright magical, am I right? And being a parent during the holiday season is just the best thing ever. Each year I say it's the year Parker finally understands everything - and once again, I'm going back and correcting myself and saying this is the year! He was just so into everything! 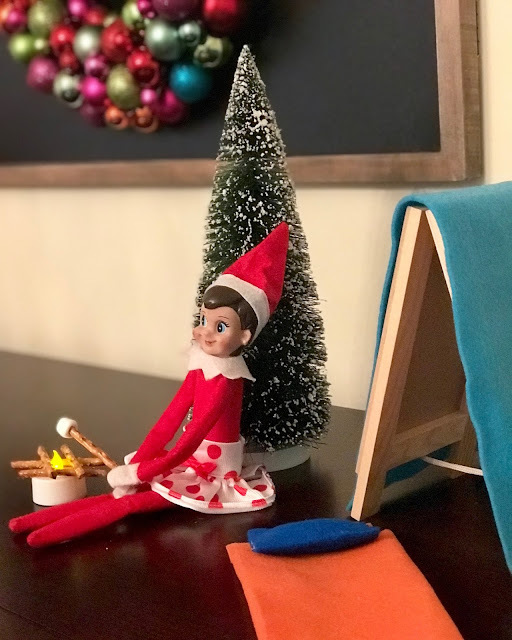 Each morning he'd run downstairs to check our advent calendar to see what Christmas activity we were doing that day, and search around the house to see what our elf, Lady, was up to. From reading about the Nativity to baking gingerbread reindeer, to all the holiday lights, it was just the most perfect season yet! I take elfing so seriously and I have so. much. fun. I use velcro tape to get Lady into all sorts of situations, and it works so well (I use the adhesive side to adhere to objects, and Lady's felt body just sticks to the rough side of the velcro). 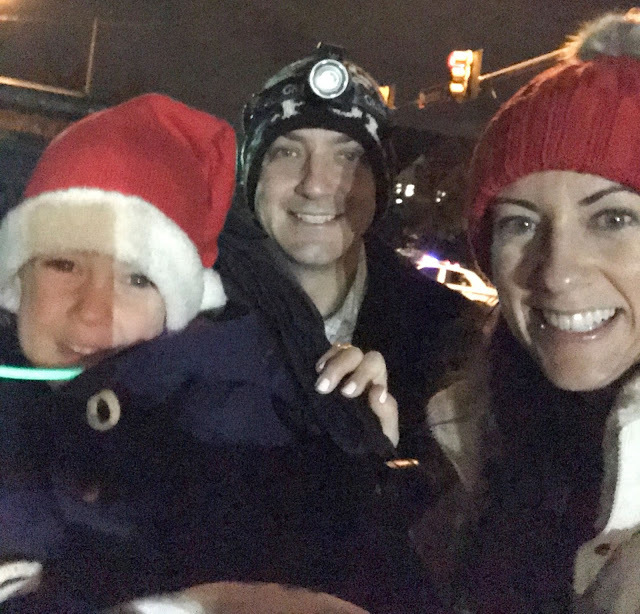 Our advent calendar had all of our Huntsville favorites, starting with the nighttime Christmas parade. It starts and ends in downtown, which is a perfect walk from our house! This year it rained all that day, but let up just in time for the parade, whew. It was however, freezing (quite literally I'm sure it was around 32 degrees). So we bundled up for the walk over, and had so much fun watching! (It was also good practice for the weather in London, since we all headed across the pond to the U.K. just a few days later!) The moving teddy bear ferris wheel was best in show for me. Parker especially enjoyed the firetrucks, and collecting candy, haha! Driving The Galaxy of Lights at The Botanical Garden is something we've done every year since we moved here, so we went for the fourth time this December (I still can't quite wrap my head around the fact we've been in Alabama for three years!). 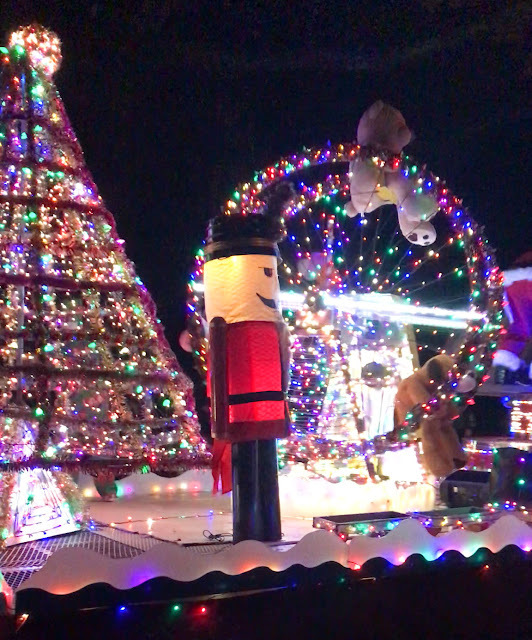 New this year was the downtown Tinsel Trail (we had only visited during the day in prior years so we didn't get the full effect of the hundreds of trees and thousands of lights!). We once again did a family walk to get there and coupled it with some Taco Mama downtown (because my husband has told me many a time he could do Mexican food every single day we're raising our little guy to think the same 😉). They had a little ensemble playing Christmas tunes, plus a tent handing out complementary hot chocolate. Sometimes The South is just too cute. I had to pose with The Junior League tree! 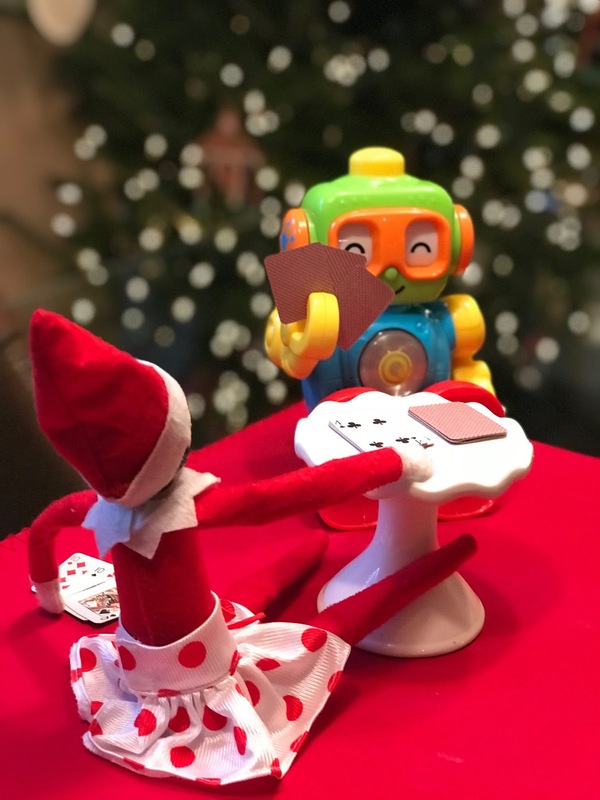 'Tis the season to be reading! Literacy is our current focus and I'm loving being on the One on One Let's Read committee! And what holiday is complete without some tons of baking? My tried and true sugar cookies 😍 I have even more fun decorating them than Parker! 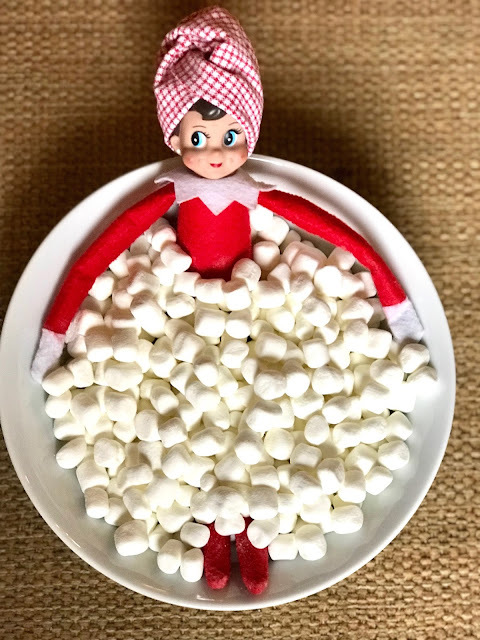 Find my recipe along with some baking tips here. Since then, I've also started to roll out the dough in between sheets of parchment paper - it keeps the counter clean, a score for this Mama! Then before I stamp out the shapes, I pop the rolled out dough into the refrigerator to cool and harden a bit - it helps the shapes come out much cleaner and easier. The ones below were frosted with a candy melt border and filled in with a meringue powder green tinted frosting. For some reason this year I was way into gingerbread! Something about the spicy and not too sweet just sang to me, and I may or may not have eaten my entire weight in tiny gingerbread reindeer. 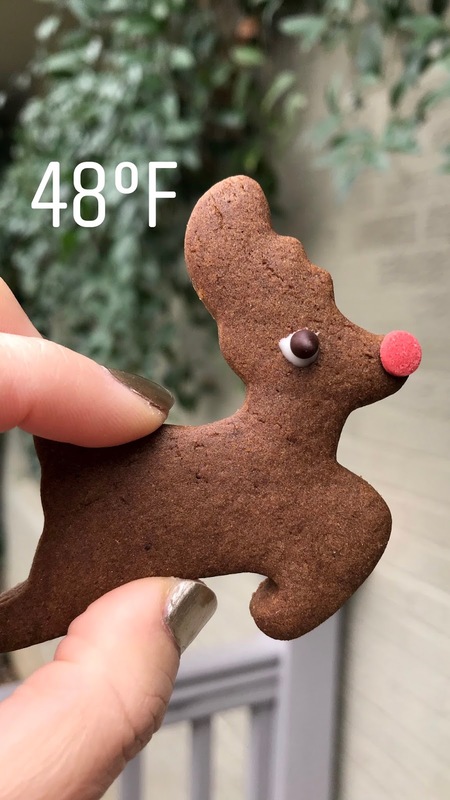 I used this recipe which I've used in the past to make gingerbread houses, but how adorable is this Rudolph? 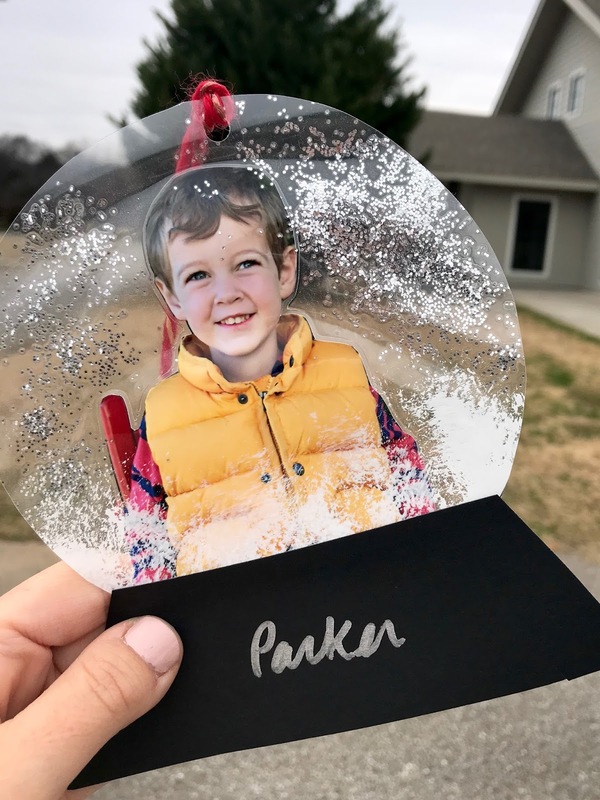 Parker's preschool sent home this adorable faux snow globe ornament - I'd never seen anything like it, and I couldn't wait to get it on the tree! And finally, my best friend for the season, Alexa. I've written about our Amazon Echo before, but Christmastime has brought my love for her to a whole new level. Y'all. She turns on all the Christmas lights in the house. And turns them off. I'll just let that sink in. One command, and boom. All the Christmas trees (we have one big and three small), plus all the garland. It's a life changer. Granted, you need to set them up to do this (and this is where Husby worked his engineering magic) but once it's done it's amazing. We have since added a white fabric Echo to our bedroom, and Dots Max's office and the upstairs playroom. If you're wondering how much you'd actually use voice commands (i was skeptical at first), think about trying to leave the house in the morning with your hands full while helping your four-year-old put on boots and a jacket. Now I can literally say "Alexa, Good-bye" and she'll turn off everything in the house! I'm in love! 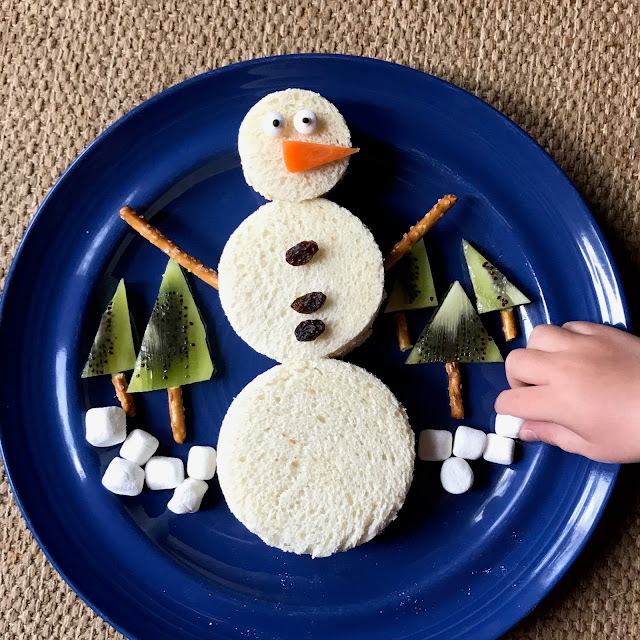 Just some gratuitous holiday cuteness, because PB&J tastes so much better when shaped like a snowman! Happy Holidays, Y'all!